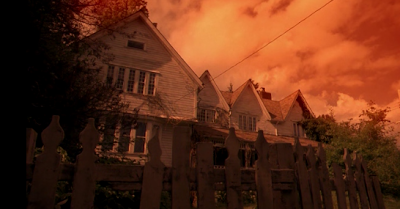 I admit it, this episode is my favourite of all the Masters of Horror episodes. It is directed by Stuart Gordon (a man I adore for his work), is a nifty and pretty faithful adaption of the original story by the Master of Horror himself*, AND features Ezra Godden. Yes, I admit it - I have the hots for Ezra Godden. There, I said it. What instantly becomes available to everyone who has read Lovecraft's stories with the same obsessive eagerness than I have, is that this movie stays surprisingly close to the story. Over the years, I (and apparently other fans of HPL) have come to accept that there will never be a movie which stays faithful to its roots... then came Stuart Gordon's Dagon (one of my all-time favourites EVER), and now he surprises us with this neat little output. For those of you who are unfamiliar with the story... a young student of mathematics moves into a weirdly built room in an old house (why? He is a student! Don't you people know that my kind is continuously and eternally broke?). Rumour has it that a witch, responsible for the deaths of many children - babies, even! 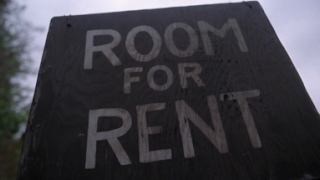 - used to live in there... and other tenants are reluctant to speak about the old hag and what happened. 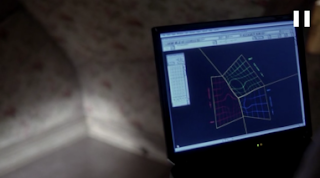 Being a student of maths and thereby crazy by definition**, he immediately spots the weird angles' similarity to what he is working on - a theory about how the use of certain angles could make it possible to twist the space-time-continuum and eventually allow travel to... other places. And then... then things start to get ...weird. Besides of actually being able to keep up the suspense and tension throughout the whole episode, H.P. Lovecraft's Dreams in the Witch House is a very atmospheric little flick. And although there is no lack of tension and suspense (greatly helped to an unsettling degree by the creepy and tense soundtrack), I am glad that this wasn't a whole feature film. 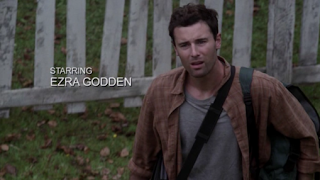 ...and then there's Ezra Godden as Walter Gilman (HAH! One of the Gilmans! *broad grin*). Besides for me having the hots for the guy (Attention, humans: The cyn is swooning! And a terrifying sight it is to behold! )), he really is a great actor who is just perfect for appearing in movies based on Lovecraft. The other main character introduced to us is Frances Elwood, as played by a very convincing Chelah Horsdal. The interaction between the two actors slash characters is always believable and floats naturally. No overacting here - instead, the realistic portrayal of Walter and Frances. Other than that, Campbell Lane portrays the crazed old fella Masurewicz who used to live in the same room as Paul is now inhabiting. 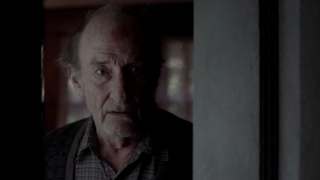 Although only appearing a few times, he adds a genuine level of good creepiness to H.P. Lovecraft's Dreams in the Witch House. This movie offers a lot to the discerning Lovecraft reader. The atmosphere is brooding and dark, with lighting and camera used to the definite advantage of the flick. It's not what I'd call a perfect piece of art (after all, I have The Living and The Dead as well as Aftermath to consider...), but it definitely is one of the better movies when it comes to the camerawork employed. The pacing is perfect for this faithful adaption of a classic. 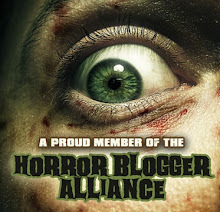 Also, we get treated to a really awesome Necronomicon, creeping insanity, being enstranged from oneself and reality (always a bonus), more creeping insanity, rituals involving infanticide*** and Latin that is actually correct. I personally adore this short, and have no trouble watching it for the xth time just to deliver screenshots. 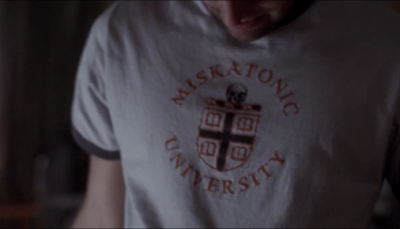 Aaaand - let's not forget the Miskatonic University shirt. See for another one of those in my review of From Beyond... and trust me, I still want that thing badly. 9.5/10 really furious battles between a creepy witch and her intended victim, featuring eye-gouging. Man. I so approve. * H.P. Lovecraft, of course! ** It happens to the best and brightest amongst them... I should know, I have a bunch of friends who study mathematics and theoretical physics. 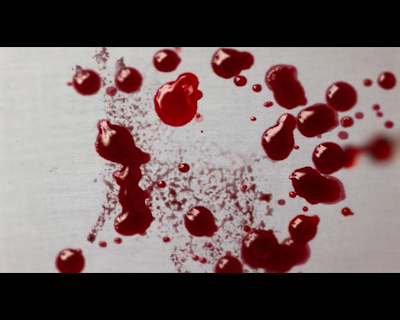 ** The killing of a child.